Blac Chyna is 30 years-old. The American model and entrepreneur has a height of 5’2” (157 cm) and currently weighs 72 kg (158 pounds). Her post-baby workout includes waist training, which is helping her achieve her weight-loss goals. Chyna has previously stated that she intended to gain 100 pounds while pregnant with her second baby. She weighed 135 pounds before getting pregnant. A few months ago, she disclosed that her goal weight post-baby is 130 pounds. Best Known For: Dating rapper Tyga and reality TV star, Rob Kardashian. She is also known for being a video vixen and model. Blac Chyna may be following in her future family’s footsteps, as she recently admitted that her fitness routine consists of waist training and tea detoxing (the Kardashian girls are notorious for promoting waist trainers and detox tea). Rob Kardashian has also been on an upward and downward battle with the scale. The reality star was diagnosed with diabetes last year, which really lit the fire under him to get serious about his health. He admitted that he dropped 30 pounds fairly quickly, but then gained 20 pounds of it back. He and Chyna have been very open about their plans to work out and eat well together. Chyna has been documenting her fitness journey on social media. The star has repeatedly taken to Snapchat to reveal her exercises, including her steep-incline treadmill routine. Furthermore, she has noted that the change in exercise and diet has already resulted in weight loss. This will help her stay on track with her post-baby weight-loss goals. Clearly Chyna is excited about the positive changes she has made in her life and wants the rest of the world to know. 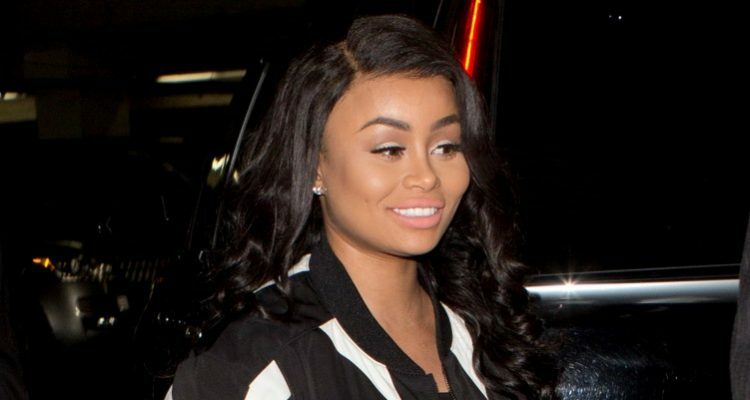 In order to achieve her goals, it seems Blac Chyna will continue to work hard on her fitness and clean eating regimen. As long as Rob Kardashian follows suit, he can very well reach his own goals, too. Now it’s more important than ever to stay committed to a healthy lifestyle because having a baby can change all that. In the meantime, we’re sure Blac Chyna will continue to keep us all updated on her weight loss success and journey through Snapchat.